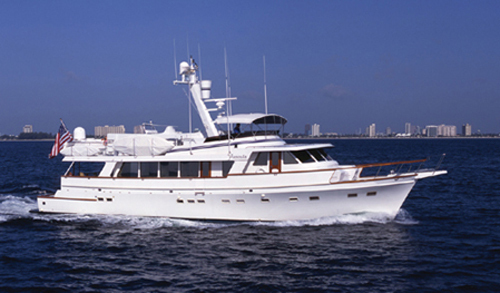 Motor yacht Yianola is a 90ft motor yacht built by Christensen in 1981 that has since been refitted. 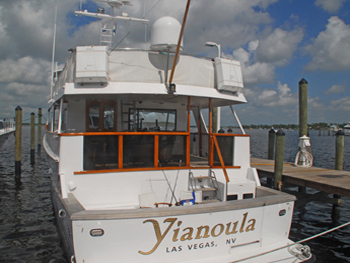 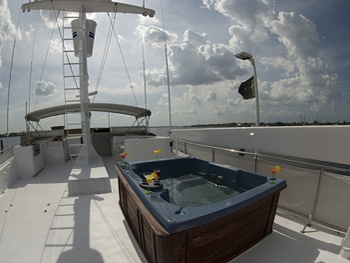 Motor yacht Yianola very comfortable and homey yacht, that is great for kids and family use. 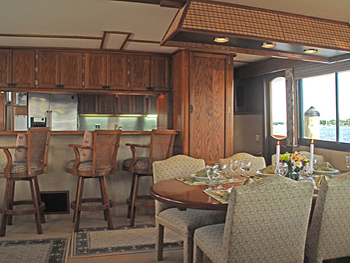 Her subtle interior has just been upgraded with new flat screen LCD TVs in each cabin complete with satellite TV receivers. 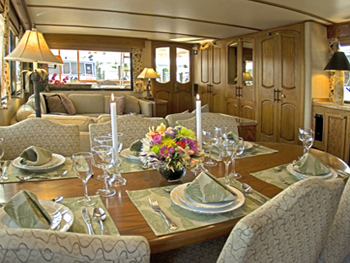 Florida and Bahamas based motor yacht Yianola sleeps 8 guests in 3 cabins including a full beam Master Stateroom and en suite and 2 Twin cabins that contain Pullman berths. 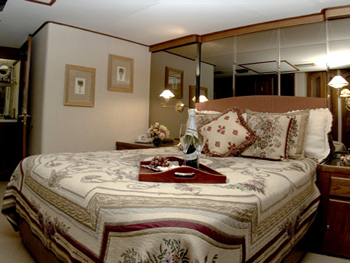 The Pullman berths would be best suited to children. 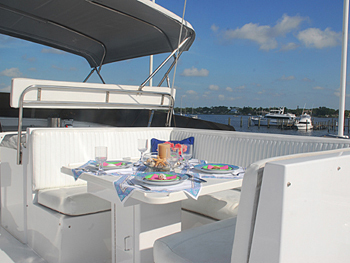 Charter yacht Yianola has a spacious top deck is great for lounging or entertaining while watching the kids as they are pulled on the inflatable tube or wakeboarding and knee boarding in the surf. 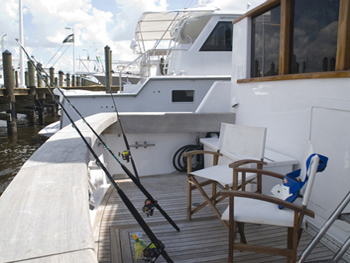 If you are feeling a bit more adventurous, Captain Matt will organize the snorkel gear for exploring the crystal waters of the Bahamas while the guys are out fishing for the perfect Mahi dinner. 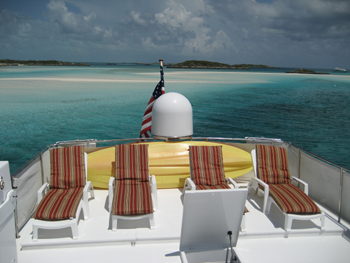 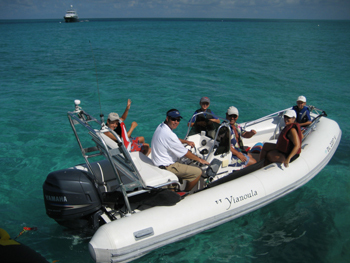 Motor yacht Yianola is the perfect place for your family to spend some time together, to get away from your cell phones and hectic lives and not only enjoy each other’s company but also the beautiful islands of the Bahamas. 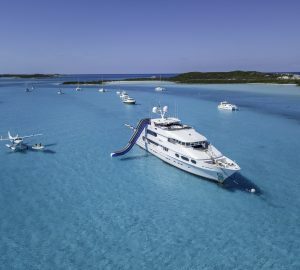 Bahamas based motor yacht Yianola sleeps 8 guests in 3 cabins including a full beam Master Stateroom and en suite and 2 Twin cabins that contain Pullman berths. 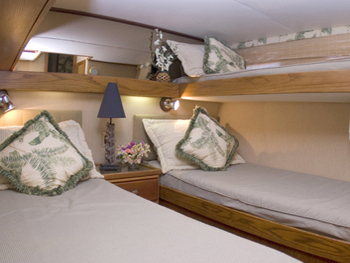 The Pullman berths would be best suited to children. 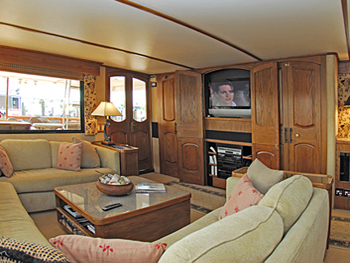 Motor yacht Yianola has the following extras onboard: New flat screen LCD TVs in each cabin, with satellite TV receiver. 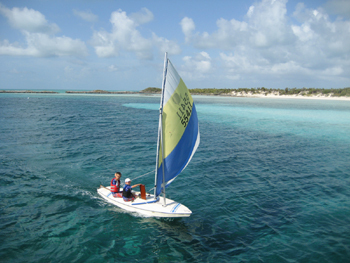 Satellite phone as well as Bahamas Cellular. 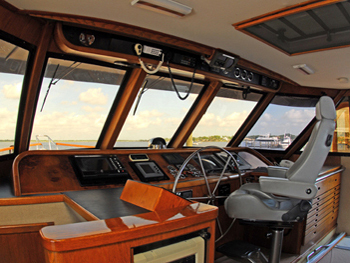 Very comfortable and homey yacht, great for kids and family use. 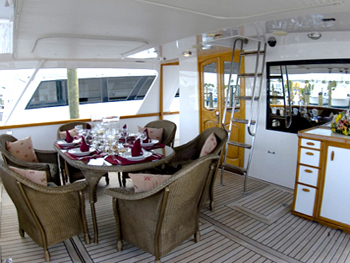 Giant top deck great for entertaining!